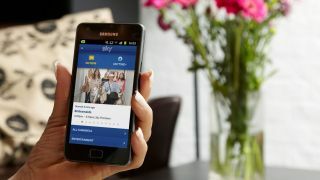 Sky has announced that Android devices will now be getting on-demand content through Sky Go. The on-demand service has been in place for Apple iOS devices for some time, but the satellite giant has now rolled it out to the huge audience of Android users. "With the huge and ever-growing popularity of Android devices in the UK it's fantastic to make on-demand content from Sky Movies and Sky Entertainment available to Sky customers for the first time," said Holly Knill, Product Director of Sky Go. "This update means customers can enjoy some of the most popular shows such as Sky Atlantic's Mad Men, Veep and hundreds of the latest Hollywood blockbusters, whenever suits them. "We hope this update to the service offers extra flexibility to Android users and the new option of on-demand viewing makes a richer experience for all Sky customers across all platforms." The Sky Go on-demand content includes a host of movies and television programmes and it can be streamed but not yet downloaded for offline use.